Egypt's President appoints Mustafa Madbouly as Prime Minister after previous government resigns. 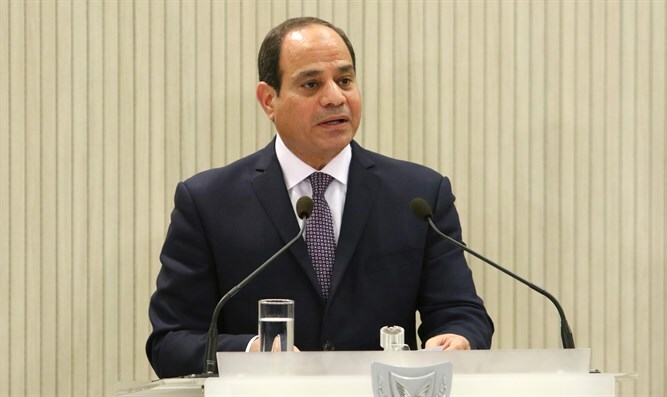 Egypt's President Abdel-Fatah Al-Sisi on Thursday appointed housing minister Mustafa Madbouly as Prime Minister, tasking him with the formation of a new government, The Associated Press reported. The appointment came three days after the outgoing premier, Sherif Ismail, submitted his government's resignation, in keeping with political tradition at the start of a new presidential term. Sisi was sworn in on Saturday for a second, four-year term in office. He was re-elected for a second term as president in March, winning about 92 percent of the votes in the election. Sisi only had one challenger for the presidency, Moussa Mostafa Moussa, after all the other candidates had dropped out of the race. Ismail had served as Egypt’s Prime Minister since 2015 and was appointed to the position after the previous Cabinet resigned amid a corruption probe. Sisi and Ismail are known to enjoy a close working relationship. Ismail sought medical treatment in Germany late last year. During that time, Madbouly served as acting prime minister in November and was widely seen as likely to succeed Ismail, according to AP. Madbouly, who has been housing minister since March 2014, is a 52-year-old architect and urban designer who served as director of the United Nations' HABITAT Regional Office for Arab States from 2012 until 2014.